Crimped wire mesh,is made of carbon iron wire,galvanized wire,stainless steel wire or copper wires. All the wires are crimped prior by mold,then weave them together. 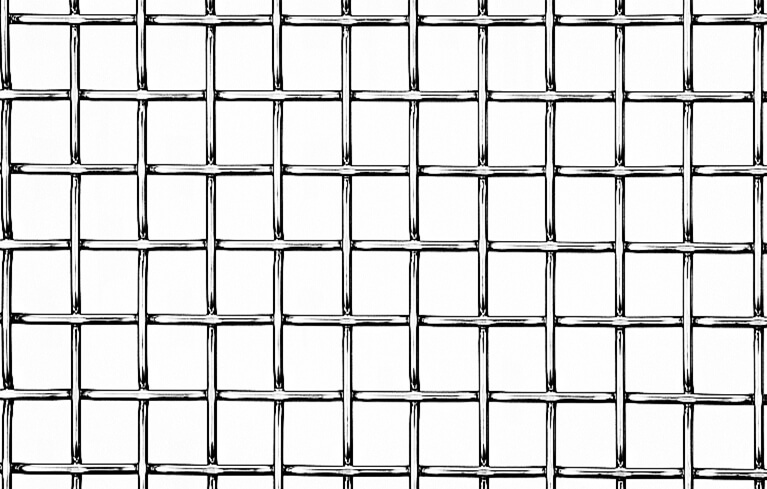 The variety of materials,wire diameters and weave patterns make this kind wire mesh products can be used in many industries. Weaving methods: Double crimped, Single intermediate crimped, Double intermediate crimped and Lock crimped. Crimped wire mesh is available in a variety of materials,wire diameter,meshes,weave methods and can be cut to the special sheets according to the applications and projects requirements. Crimped wire mesh has many applications in industrial,commercial and decoration. like refining, mining,construction,security,food processing,sieves,decoration and so on.